Last friday saw the opening of a photography exhibition by JUST and EVOL, photographers from the Berlin urban art mob. Just’s pictures show the work and action behind the graffiti and streetart pieces that we see on the streets, it’s an intimate insight into the invisible part of this scene. 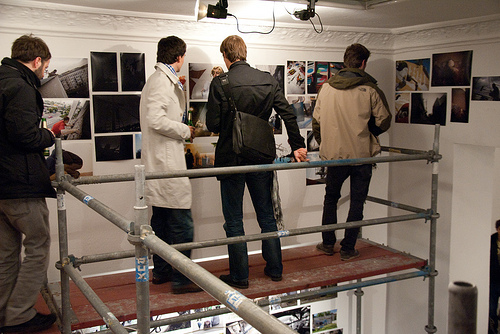 October 18, 2010 in berlin, contemporary art, rev, reviews, visual art.